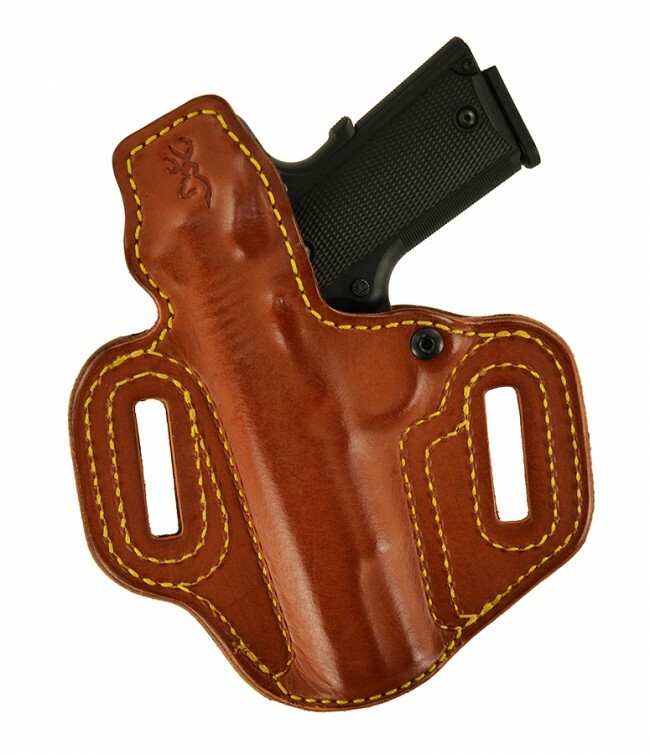 For a limited time, High Noon Holsters has been authorized by Browning to sell the custom made Slide Guard with the Buckmark logo embossed on the sweat shield. 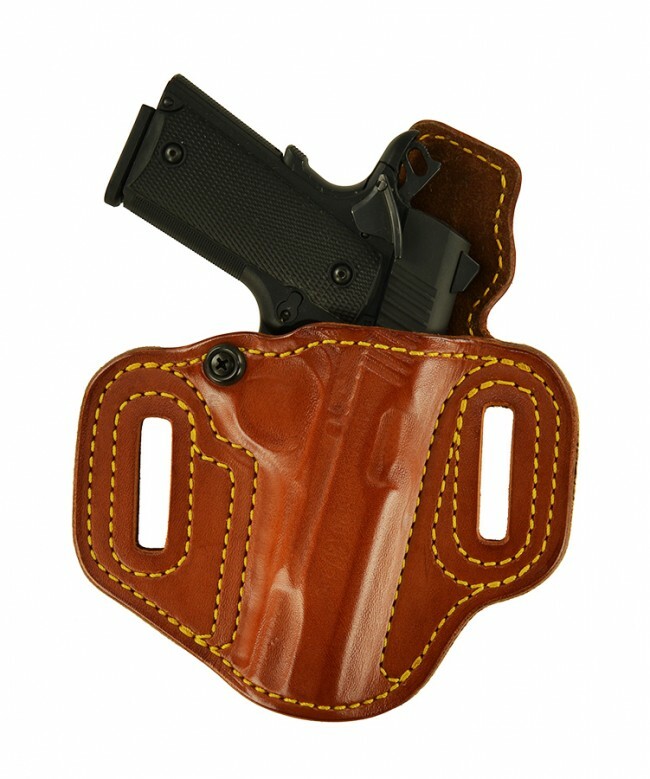 Our most popular holster, for a limited time, has the Buckmark logo emblazoned on the back. High Noon Holsters and Browning have teamed up to offer the Slide Guard, lined and in cowhide, specifically made for the Browning 1911 .380 and the .22. The new Browning 1911-380 is the Right Design, the Right Size, with the Right Features. Based on the John M. Browning’s 1911 pistol design and using the cartridge he created, the new 1911-380 pistol gets it right in every way. Browning also developed the 1911 to fire the 22 L.R. and, after extensive testing and research, determined that 85% of the original size was ideal for the smaller cartridge. Put one in your hands and we know that you’ll agree. The grip is comfortable even in large hands and feels equally at home in smaller ones. The lightweight alloy construction is anything but light duty. 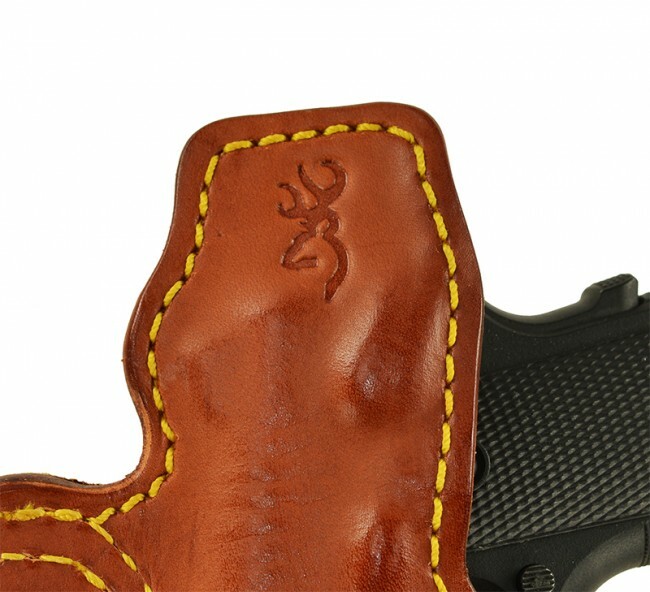 This is a right hand lined Slide Guard, cowhide, tan with yellow stitching. As usual, amazing craftsmanship to go along with an amazing handgun. Buy one before they are gone!